Interoperability enables effective urban data governance and allows Cities to select best-of-breed technologies and partners to design present and future services. When relying on open standards, a City can unlock its real innovation potential. Every City manager knows that implementing service-specific solutions to manage urban applications one by one adds fragmentation, complexity and costs, jeopardizing the possibility to build efficient, sustainable, and open communities. When a City heads for smartness, interoperability is pivotal to develop secure, performing and reliable urban networks supporting any kind of service over the same infrastructure. This flexibility results in a concrete and measurable improvement of City management, and the opportunity to start a gradual journey towards innovation mirroring local needs and available resources – but always maintaining a far-sighted perspective. How does an interoperable technology look like? First of all, it is based on open standards, thus it is brand-agnostic, allows seamless integration of third-party systems and custom applications, and grants the confidence of a continuity of supply over time. That’s our continuous commitment. 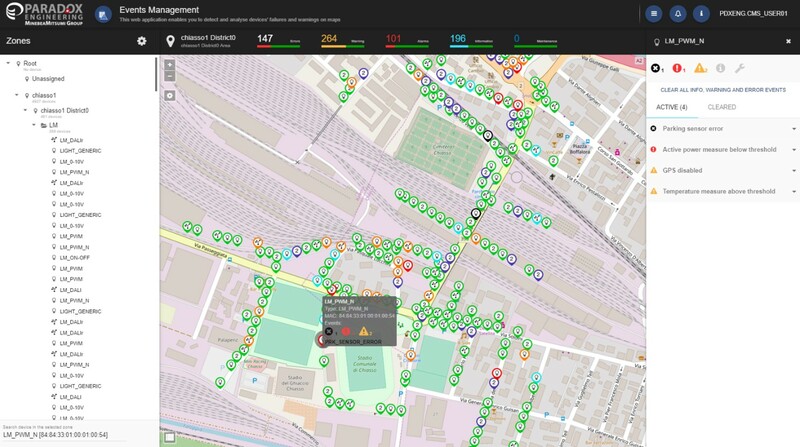 While interoperability is a key feature of PE Smart Urban Network, our breakthrough solution for Open Cities, we are active members of the uCIFI Alliance to contribute to the development of open, multi-supplier, interoperable, multi-transport wireless communication solutions for Smart Cities and utilities. 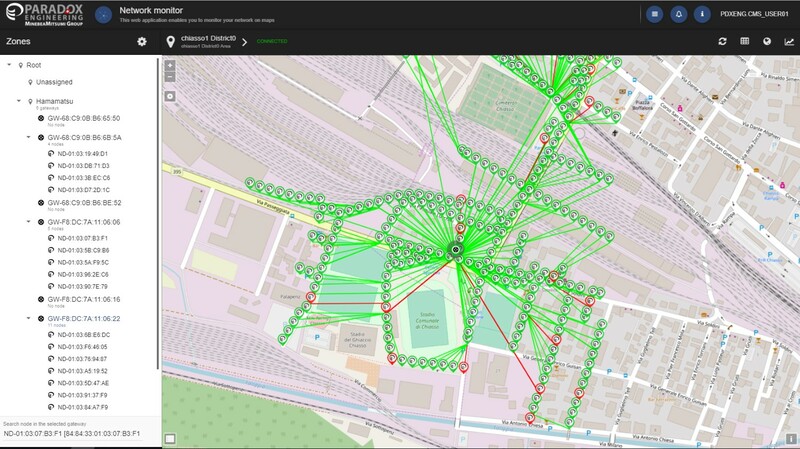 PE Smart CMS is the open management platform for secure urban networks, supporting from a few up to over 200 thousand connected objects. 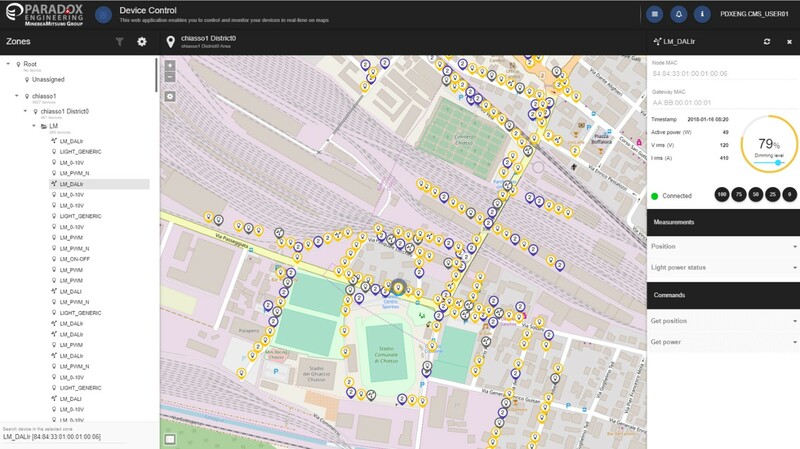 It provides City operators with a unique and reliable software to manage streetlights, parking lots and any other urban service through intuitive web applications and a user-friendly interface. PE Smart CMS has been improved to offer outstanding extensibility and interoperability thanks to the standard-based data model and the possibility to easily add new applications, device types and attributes. The multitenancy architecture allows to host multiple Customers on a single cloud-based server, providing adequate data segregation and load balancing. The solution also grants unparalleled scalability and modularity through the microservices-based backend architecture, APIs covering 100% of feature set and the enhanced frontend. City operators will appreciate its superior performance, as system response time is fully independent from network size, as well as the improved data and application protection, pioneering blockchain technology for over the edge data security. Key features of PE Smart CMS include accurate network management and device control to monitor and manage all connected objects, setting key parameters, triggering immediate actions or defining command schedules for single or grouped devices (ie. switching lights on/off or adjust dimming levels, execute lighting patterns in a given combination of day/time, along given luminance values, or upon vehicle transit). The Software Development Kit allows authorized software developers to independently add features and applications to PE Smart CMS, accelerating their go-to-market plans by leveraging existing software components, as well as the open data model.